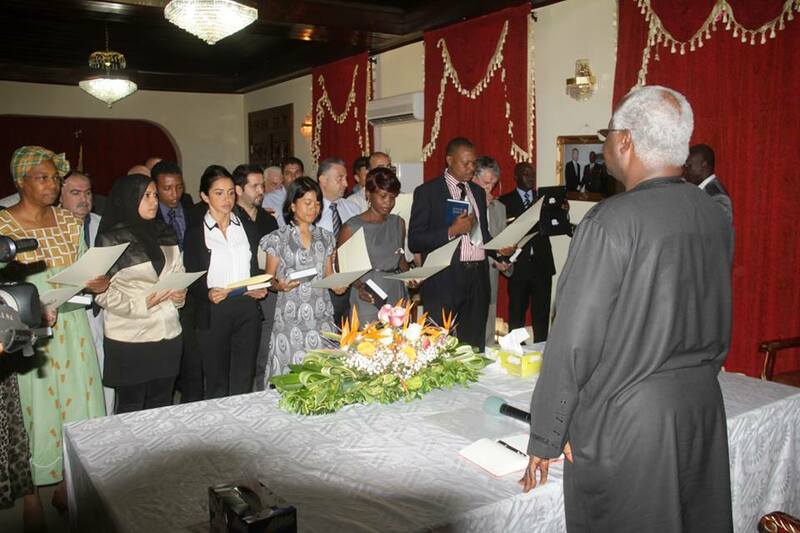 Koroma’s new citizens: Is this his diaspora mobilisation strategy? 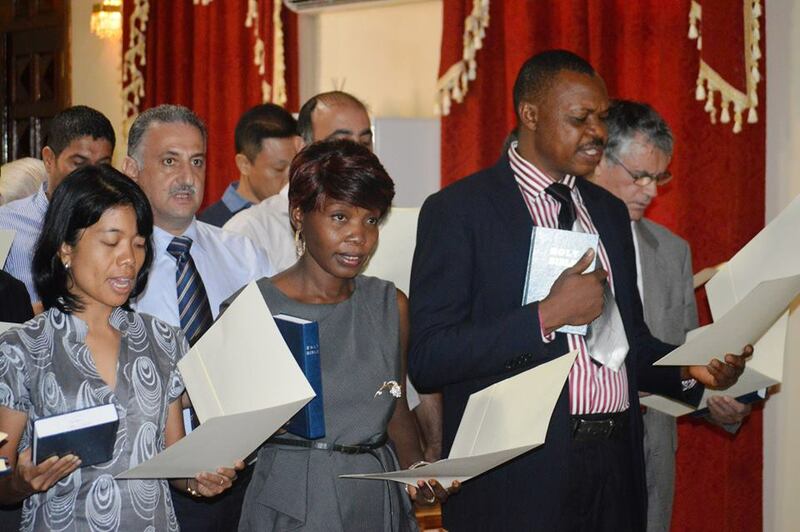 HomeNews in PerspectiveKoroma’s new citizens: Is this his diaspora mobilisation strategy? September 22, 2013 Abdul Rashid Thomas News in Perspective Comments Off on Koroma’s new citizens: Is this his diaspora mobilisation strategy? A few days ago, president Koroma delivered what has been described by many of his admirers as a landmark speech. He spoke about the need to mobilise and harness the skills, expertise and entrepreneurialism of Africans in the diaspora to develop Africa. Landmark, it may well be, but serious questions are now being asked about the double standards and perceived hypocrisy, borne out by his actions. (Photo: Koroma welcoming his newly naturalised Sierra Leonean citizens). What he failed to say in his speech was that, two weeks ago, he ‘laid out a red carpet’ in the Presidential Lodge – his personal residence – at Hill Station, where he welcomed a cohort of twenty non-African nationals that have newly arrived in the country to take up Sierra Leonean citizenship; and according to the president – help develop the country. Is this immigration policy a part of president Koroma’s ‘diaspora mobilisation strategy’ that he spoke so eloquently about, in his address to the World Bank conference in the US via video link? There are questions also as to whether this immigration policy is another back-door ‘cash for citizenship’ scam. Previous governments of Sierra Leone have been accused of selling Sierra Leonean citizenship for hundreds of thousands of dollars, which never made it into the nation’s coffers. “Africa is the new frontier for economic growth and investment. The return of the Diaspora is once again taking root, and a new race for Africa is on again. It is a race for land, a race for petroleum resources, a race for iron ore, uranium, and for the consumer markets of the continent. “But this time around we should not allow the race to degenerate into a scramble. We should not allow this race to lead to despoliation, authoritarianism and new forms of enslavement. Of course there are and will always be challenges faced by Africans returning to their home countries to resettle, such as housing and education for their children. But with a concerted, genuine and co-ordinated government programme of actions in place, these challenges can be quickly and seamlessly overcome. But where is president Koroma’s diaspora strategy; and where is the evidence of president Koroma ever laying down the red carpet to welcome and assist in resettling skilled, professional and entrepreneurial Sierra Leoneans returning home to contribute to the nation’s development? The president in his speech outlined a plethora of proposals put forward by the African Union, the New Partnership for Africa’s Development (NEPAD), the World Bank and others in transforming this vision into reality. But very little was said about his government’s proposal, if there is any in existence at State House. What is striking about president Koroma’s red carpet welcome of the newly naturalised foreign citizens, is that it exposes the hypocrisy of his government’s much talked about ‘Localism’ policy, which is aimed at putting Sierra Leoneans first, when it comes to economic opportunities, such as; jobs, public procurement and service delivery. But more importantly, the red carpet shenanigan at his personal residence, raises question as to the president’s best use of his time during working hours. Is the job of welcoming newly naturalised citizens, if at all it has to be done, not the responsibility of the Chief Immigration Officer or someone less senior? Speak with any foreigner living in the country, and they will tell you that from observation – Sierra Leoneans in authority treat foreigners far better than they do their own fellow citizens. So why the complex, or is it because foreigners are being fleeced of hundreds of thousands of dollars in return for whatever they need – including Sierra Leonean passport? What contributions and added value are the newly naturalised foreign citizens going to make to the country’s development? What are their skill profiles, and how consistent are those skills with the nation’s development priorities? Seriously, not many Sierra Leoneans are against a ‘naturalisation policy’ that is enshrined in the country’s Constitution. But what is at issue here, is the readiness with which the government offers priority to non-Africans, and the red carpet welcome by the president himself, which says so much about his psyche. Mr. President, you have to do better than that. This is the Twenty-first Century, as you so eloquently mentioned in your speech. How many professional Sierra Leoneans or entrepreneurs has he successfully returned to Sierra Leone, that are positively contributing today to the development of the country, and what are their backgrounds and functions? Perhaps he can post his answer on Cocorioko – his favourite online Newspaper. When president Koroma came to office in 2007, to his credit he established the ‘Office of Diaspora Affairs’. But it is now evidently clear that the Office of Diaspora was simply used as a gravy train, for ruling party supporters who invested quite heavily in the presidential elections campaign. Sadly, no one speaks of the Office of Diaspora anymore, after losing its international appeal and credibility. It is now considered as one of the most dysfunctional agencies in the country, with very little to show for its existence, other than the annual Christmas jamboree held at State House and hosted personally by the president to welcome friends and relatives of ministers, APC party officials and active supporters of the government residing overseas, at the taxpayers’ expense. The work of the agency has become dogged and polarised by maladministration, tribalism, nepotism, corruption and graft. Its original mission was buried three years ago, as the agency became transformed into nothing more than a self-serving and insular party political launching hub. Few Sierra Leoneans in the diaspora that can be described as politically neutral, who have attended the president’s Christmas jamboree at State House, do return to the diaspora energised with ideas to go back home to help transform the country. There are many disappointing stories of ministers and government officials that are more interested in seeing the colour of the foreign currency in the wallets of their guests, rather than discuss real opportunities for professional engagement. A Sierra Leonean businessman living in the UK, aged 62, who has done very well financially, was one of the JCs – as they are referred to in Sierra Leone, who attended the president’s Christmas jamboree last year. 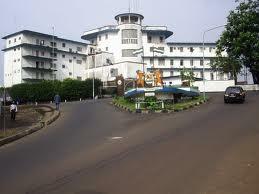 That was his first time of visiting Sierra Leone, after departing from the country at a young age of fourteen. He was born in the same district as president Koroma – Bombali, and was looking forward to discussing business and community development opportunities, especially in his hometown of Kamakwie. He said that after spending about an hour talking to ministers, trying to find out how he could help in the development process, he became frustrated by questions about how much cash he can put on the table, in order “for doors to be opened”. He interpreted such demands as nothing other than bribery and corruption. A government minister promised to sell him a plot of government land, even though he had no valid documents and the authority to dispose of public property. He was left disappointed after arriving back in the UK, and has since shelved his plans to go back to invest in starting a new business in Sierra Leone, which could potentially create employment opportunities for hundreds of young unemployed. For now, president Koroma’s speech on mobilising and harnessing the skills, expertise and entrepreneurialism of Africans in the diaspora will continue to be regarded as yet another high powered policy statement. And until real action can be seen, practically encouraging and promoting the return of professional Sierra Leoneans in the diaspora – without reference to tribal lineage, political leanings, or any other discriminatory social constructs, one will have to take the president’s speech with a pinch of salt.